Happy Friday! We only had three days of school this week, yet Friday is as welcome as ever. We're supposed to get snow this weekend - isn't that crazy? The weather today is beautifully still. It's very cold - it's been in the twenties (or lower!) most of this week. But this morning, there was no wind, which makes all the difference in the world. If the wind remains calm, the snow (if it comes) should be gorgeous. 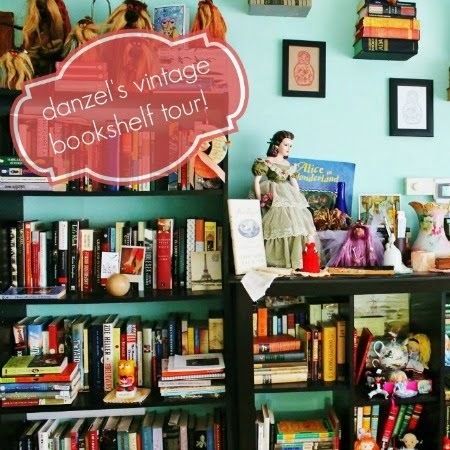 This is my Friday book post, and I have a lot of books to share! You see, through October, I limit my posts to Halloweeny or creepy-ish reads, but we read a lot of books. Not everything we read in October fit into my limited blogging vision. I thought I'd throw a few of our October books into this post. I should get on with it, right? Right. 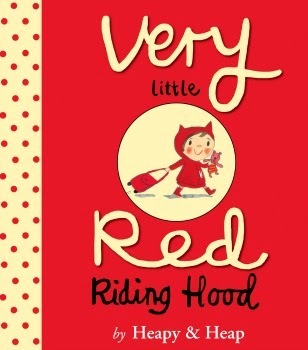 Very Little Red Riding Hood by Teresa Heapy, illustrated by Sue Heap. HMH Books for Young Readers, 2014. We read this adorable book last month. This Little Red Riding Hood is very little indeed. She is a sweet little toddler, and she isn't afraid of anything or anybody. She is also very good at wearing out both wolves and grandmothers! We chuckled through this one, which would make a great gift for very young children (and their tired parents). You can read more from the author and illustrator at the UK publisher's site. 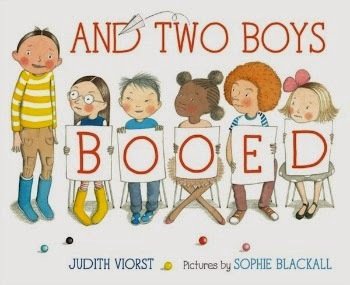 And Two Boys Booed by Judith Viorst, illustrated by Sophie Blackall. FSG Books for Young Readers, 2014. I will check out any and every book illustrated by beloved Sophie Blackall, and if it happens to be by an author as awesome as Judith Viorst, well, even better! In this book, the young narrator is waiting to sing his song for the class talent show. As each child takes his or her turn, the narrator becomes more and more shaken up, mixing up everything he has going for himself in his head. While two boys may have booed him in the end, though, everyone else was clapping. We liked this book very much. 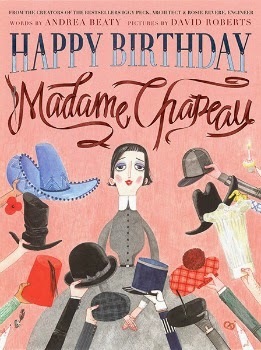 Happy Birthday Madame Chapeau by Andrea Beaty, illustrated by David Roberts. Abrams Books for Young Readers, 2014. This one is total eye candy! Madame Chapeau is a famous French hatmaker, able to match the perfect hat to each customer. Once a year, she dons her own favorite bonnet, and heads off for a lonely birthday dinner. Things go wrong, this year, when he bonnet blows away.As she chases it through the streets of Paris, different people offer her their own hats, but none are right for Madame Chapeau. Finally, a little girls makes Madame Chapeau a special hat just for her, and Madame Chapeau realizes she has made friends. The hats in the books are inspired by very famous hats, recent and historical. 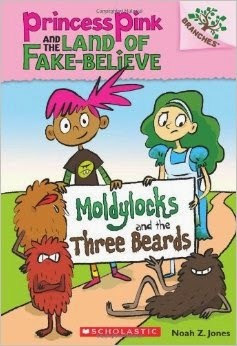 Princess Pink and the Land of Fake Believe, #1: Moldylocks and the Three Bears by Noah Z. Jones. Scholastic, 2014. I'm sure that regular readers of this blog would guess that Little Sis picked this book out herself. The title screams her, don't you think? This was a pick from the Scholastic Book Fair, the first in a new series of graphic novels about a pink-haired girl (who hates the color pink) who opens her fridge and enters the Land of Fake-Believe. All she wanted was some food, but instead she finds adventure, in the form of Moldylocks and a family of disembodied beards. 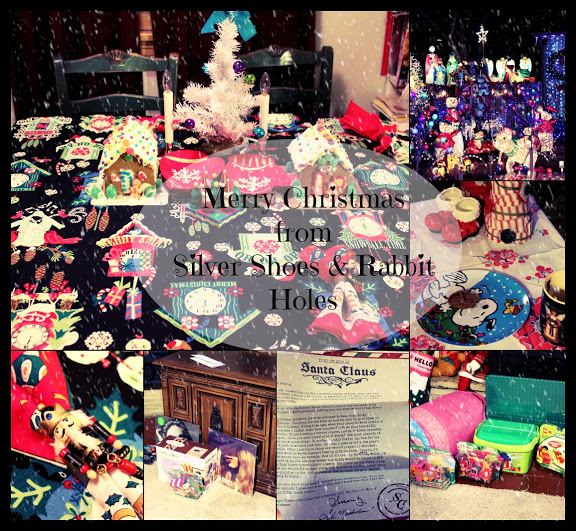 Silly stuff, and written in a way that made it very easy for Little Sis. 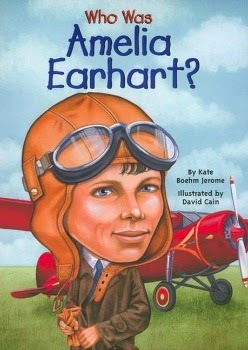 Who Was Amelia Earhart? by Kate Boehm Jerome, illustrated by David Cain. Grosset & Dunlap, 2002. No Fighting, No Biting! 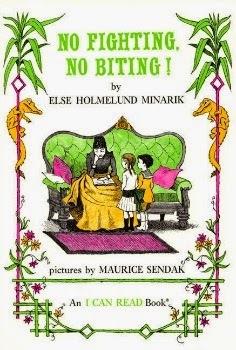 by Else Holmelund Minarik, illustrated by Maurice Sendak. Harper & Brothers, 1953. Last week, I convinced Little Sis to pick out some Level 2 and up "beginning reader" books at the library, instead of the larger chapter books she's insisted on getting lately. We own a treasury of Minarik and Sendak's "Little Bear" books, but I'd never seen this one. 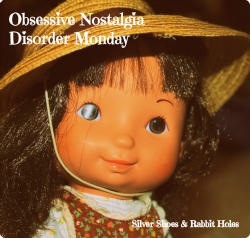 Sendak is one of our favorites, so we gave it a try. Cousin Joan is trying to read, but a little brother and sister duo won't leave her - or each other - alone. Cousin Joan winds up telling them stories about fussing baby alligators. We preferred the illustrations to the text, but it was definitely written for Little Sis's level. 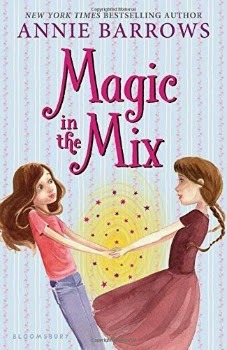 Magic in the Mix by Annie Barrows. Bloomsbury, 2014. We took a very excited break from our Halloween reading for this one! This is the first book I've ever managed to win from Goodreads First Reads, and of course, it's the sequel to The Magic Half by Annie Barrows, author of our favorite chapter book series, Ivy & Bean. Magic in the Mix finds Molly and Miri still living life in their old house in the present day as twins, even though both remember the events that led to Molly becoming part of the family in the first place. (If you have no idea what I'm talking about, then please, read The Magic Half!) 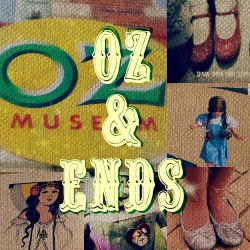 Through a series of events, the girls travel back in time again, to two different eras: the late 1910s, where they encounter Molly's mother as a teenager, and the Civil War era. It takes them a while to unravel the mystery of why they find themselves in such different times, and this time, their older twin brothers get thrown into the mix. There is real suspense in this book, but it's always tempered by Barrows's wonderful sense of humor. There are some definite laugh-out-loud passages. We loved it. 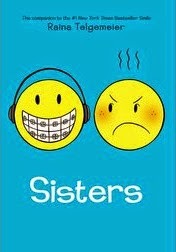 Sisters by Raina Telgemeier. Scholastic / Graphix, 2014. This graphic novel, a companion to Telgemeier's Smile, was very popular among girls Big Sis's age at the Scholastic Book Fair. I haven't read it, so I can't tell you much about it except that Big Sis loved it, and she can't wait to read Smile. Loot by Jude Watson (aka Judy Blundell). Scholastic, 2014. 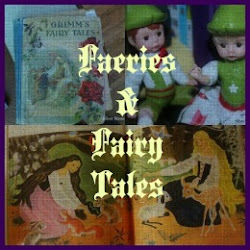 Big Sis almost got this one at the book fair, before choosing Sisters and Doll Bones instead. While she continues to work on Doll Bones at home (only 90 pages to go! ), she's reading this one during silent reading time at school. A sweet boy in her class had two copies - his mom bought it for him at the book fair, forgetting she'd already ordered one online. So he offered to let Big Sis borrow one! Isn't that sweet? I love watching kiddos share their books. Once again, I know nothing about this one, but she says it's pretty good. 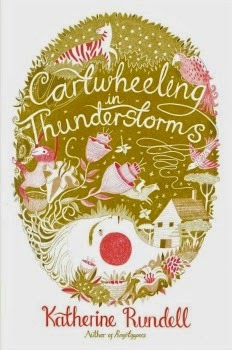 Cartwheeling in Thunderstorms by Katherine Rundell. Simon & Schuster Books for Young Readers, 2014. It's been a while since I read this one (beginning of October), but it's stayed with me! It's a beautiful middle-grade book about a young white girl, born and raised in Zimbabwe, with a fierce, wild spirit. After her father dies, his kind employer is forced by his cruel new English wife to send the girl to boarding school in London. Will (short for Wilhelmina) has no desire to leave her African home, and things go badly at school. Will runs away, trying to fend for herself on the cold streets of London. This is a gorgeous book, one I'll definitely recommend to my kiddos in a year or two. 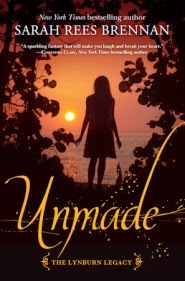 Unmade (The Lynburn Legacy, Book 3) by Sarah Rees Brennan. Random House Books for Young Readers, 2014. The conclusion to one of my favorite teen series! The Lynburn Legacy trilogy is such fun. Brennan has a fabulously distinct sense of humor, which puts these a step above some of the other paranormal teen romances. Rob Lynburn has taken control of Sorry-in-the-Vale, and we're gearing up for a final showdown. Something bad happens to one character. Another character dies. 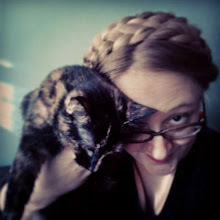 Kami is still magically connected to Ash, while longing to be connected (in any way) to Jared. I think the first book was the best, but I enjoyed the rest. I like the bad jokes, what can I say? 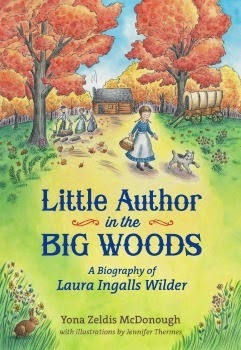 Little Author in the Big Woods: A Biography of Laura Ingalls Wilder by Yona Zeldis McDonough, illustrated by Jennifer Thermes. Henry Holt & Co., 2014. The second book I won from Goodreads! As you know, we love the Little House books. I read this one earlier this week. 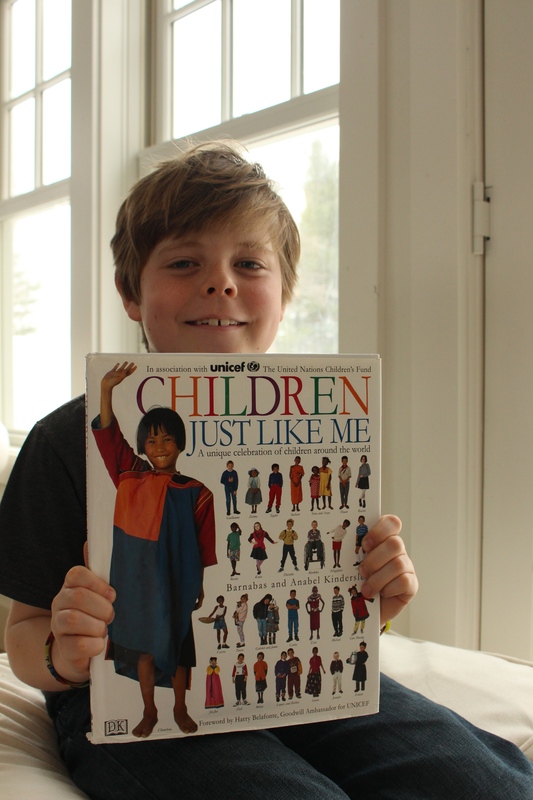 It's a fast read, but a wonderful biography for elementary-aged children. It delves into the parts of Laura's life she left out of the Little House books (the birth and death of her brother, the family's time in Iowa), and shows the actual chronology of the family's moves (they moved back to Wisconsin after Kansas, and the events in the Big Woods actually happened after the events on the Prairie). 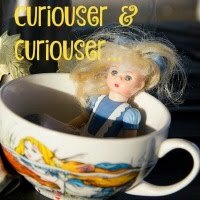 I'm so excited to get my hand on Pioneer Girl now, that's for sure! And there you have it. 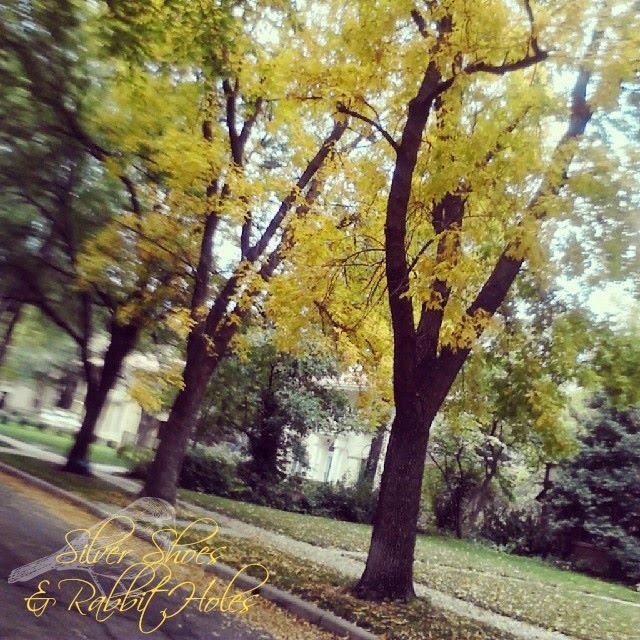 As for this weekend, we're expecting snow, and we hope to go to a CD release party/concert for some friends tomorrow. Big Sis has Nutcracker rehearsal on Sunday. Last night, we watched some more Doctor Who on Amazon. (We're almost through the Christopher Eccleston episodes!) Big Sis bought her first CD with her own gift card, so it's Taylor Swift City around here, when she isn't cranking up (then complaining about) the Christmas music on our local adult contemporary station. That's life in our house! wow you guys have been BUSY with the books!!!! awesome picks. I saw the Cartwheeling in Thunderstorms book at the bookstore and thought it looked really cool, now that you've given it an endorsement, I'll look for it! I just started Emily of Blue Moon and so far it's really good. I'm stunned that I never read it! Smile is really, really great. I think we have everything by Raina and they're all good (have you seen her babysitters club ones?) but Smile is the best. And, as its true - you can check out her photo at the back to see the actual smile her dentist achieved. I have Sisters hidden upstairs for Christmas. Great list! These all sound so great! "Cartwheels in a thunderstorm..." Sounds like we people on the plains, for sure ;) LOVE that cover! And Little Author in the Big Woods...I saw that on your IG. I've never heard of it and cant believe it!!! 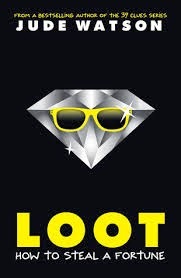 The part of the little brother being lost....always broke my heart :( Poor little one. I know. I can understand her decision to leave that part of her story out of the novels. :( I think this book would be a great companion for a kiddo who is reading the books. I grabbed Cartwheeling in Thunderstorms because of the beautiful cover art. I wound up loving the whole thing.